I don’t believe I’ve ever shown y’all my kitchen! I really like it. There’s so much counter space, and it has a very open layout. However, being a cooking enthusiast, I collect Many Things. Food props, appliances, ingredients, utensils…the list goes on and on (as Reuben could tell you). This past year I’ve been into organizing my kitchen more efficiently. I’ve picked up a few products here and there that have helped me to keep my kitchen less cluttered. Let me show you what I’ve done so far! Reuben recently installed some open shelves above my low counter. Now I have a place to store my cookbooks and a few miscellaneous items. I know, I know, this drawer could still use some help. But after purchasing a few little boxes from the dollar store, I’ve been able to keep this drawer LESS chaotic. 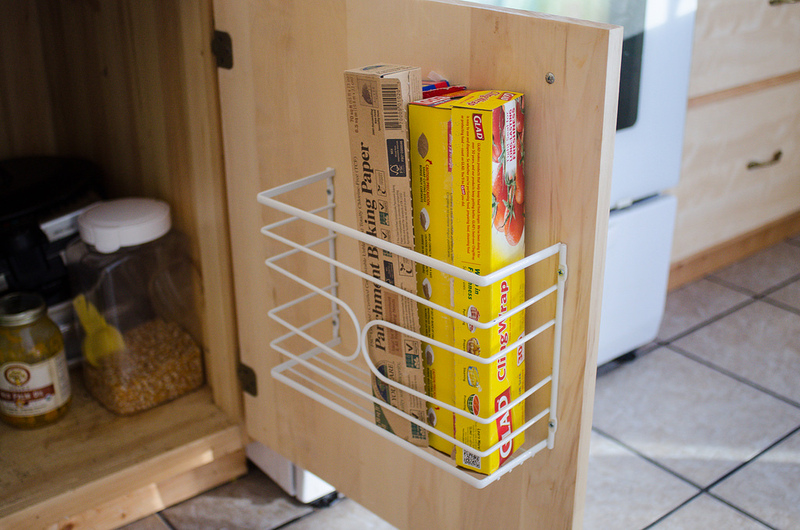 I also got these wire racks from Walmart (similar) to save space in the cupboard. They’re great for storing plates. Reuben recently picked up this larger rack for bigger items. LOVE it. I was getting really tired of trying to store my plastic wrap/parchment paper/wax paper in a drawer, so I bought this holder on Amazon. Loving it so far! 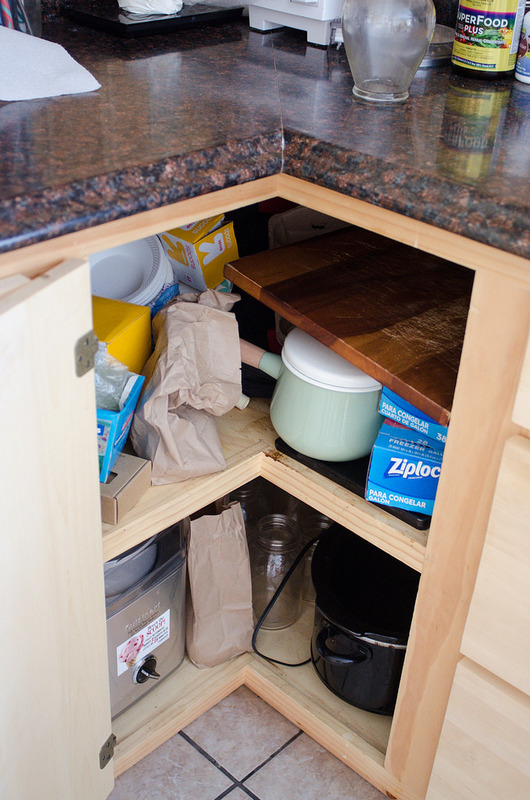 And now for some areas that could still use work…like this corner cabinet. Ugh. And my OTHER corner cabinet. Avert your eyes! 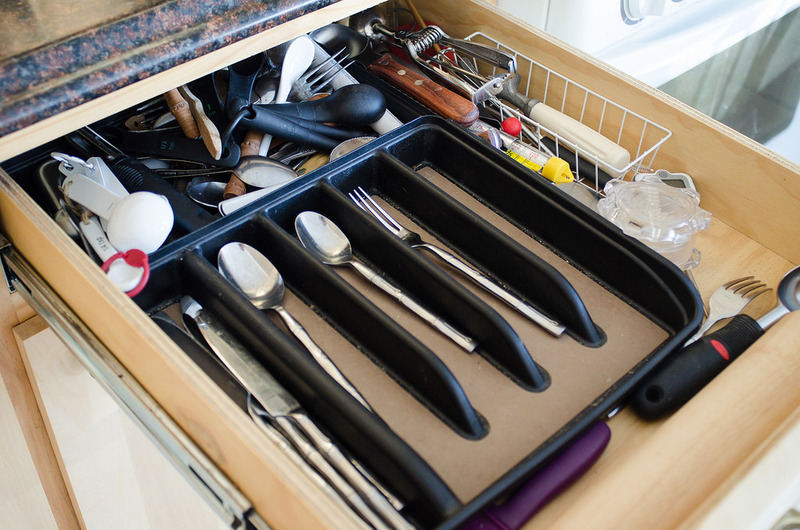 And my silverware drawer – ew! It makes me crazy just looking at it. I'm actually kind of bad at organizing. I mean, my apartment is very organized, but that is because I hate cleaning and am therefore a staunch minimalist. 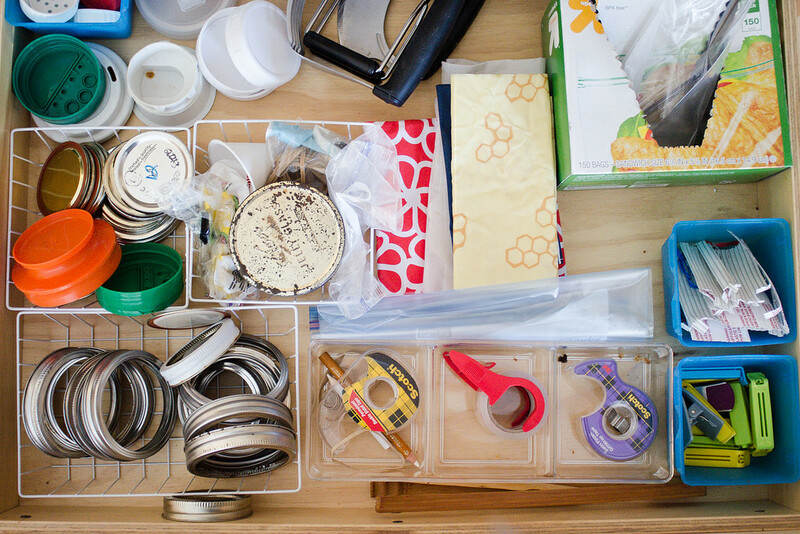 However, it's always so relaxing to see other organized spaces… I wish I had the patience for it! I had to laugh when I saw the title of your post. It sounded like you were just waiting around for that baby, and all that's left to do is organize your kitchen 🙂 Hopefully you don't have to wait too long! still so much stuff on the counter! my husband and i both like clean counters, it's interesting to see what other people's kitchens look like. I love my kitchen, but it's just along one wall (NYC apartment but truly on the generous side). 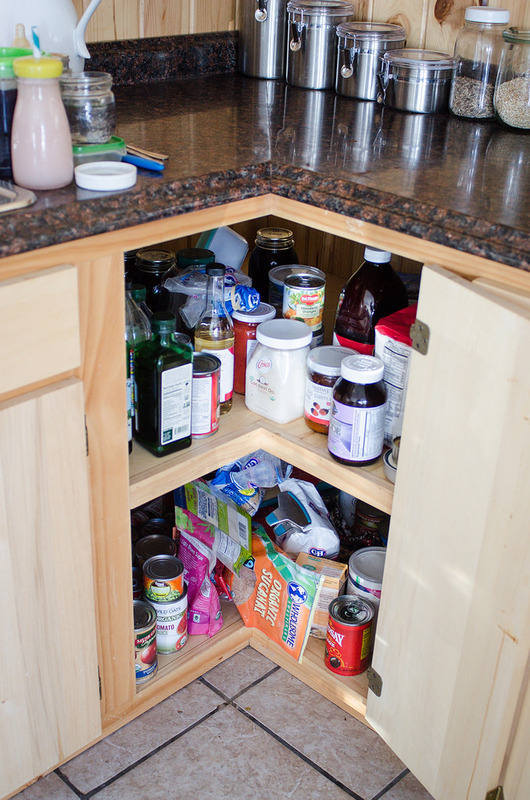 It was actually an upgrade for me from the house we moved from, except for the fact that the cabinets are so tall that the top shelves are functionally useless to me except for very rarely used things or extra bulk items. 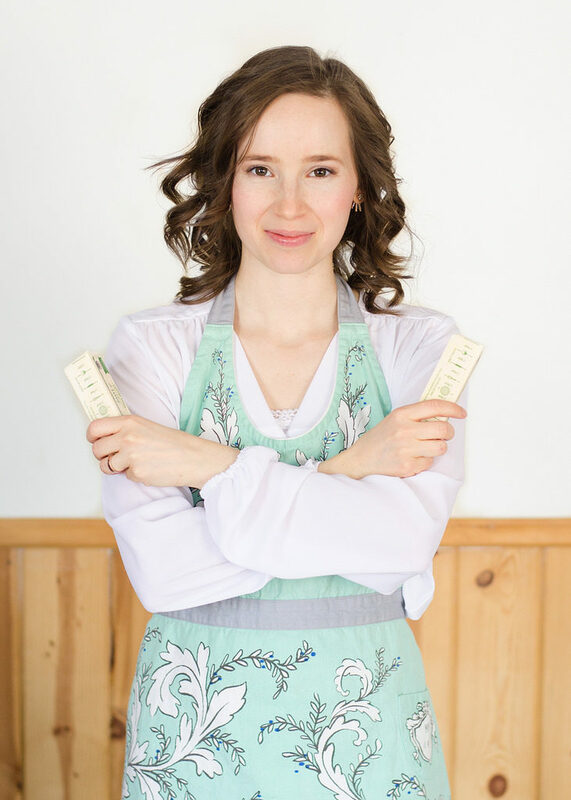 My favorite organizational ideas are about efficiency in working, having things stored where I will take them out and use them (like baking ingredients or tools above the counter spot where you normally bake), although keeping spices away from the heat of the stove. I love making it more streamlined in that sense. We do only have two tiny drawers, so yours don't make me wince at all! It's insane what you can pack into one little drawer (utensils and a LOT of little tools) when it's only one of two! I also love the raw wood of your cabinets. Very smart ideas to give an adorable look with well organized on instruments of kitchen rooms. Especially proper usages of kitchen cabinets and other places to make a space are really excellent. 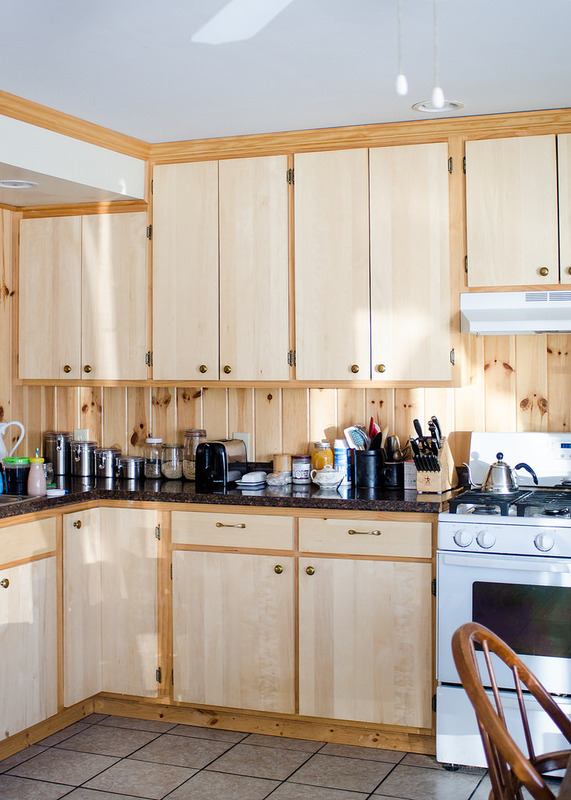 I will share these ideas with my wife as these tips can be helpful for her as we redesigned our kitchen using new kitchen cabinets. 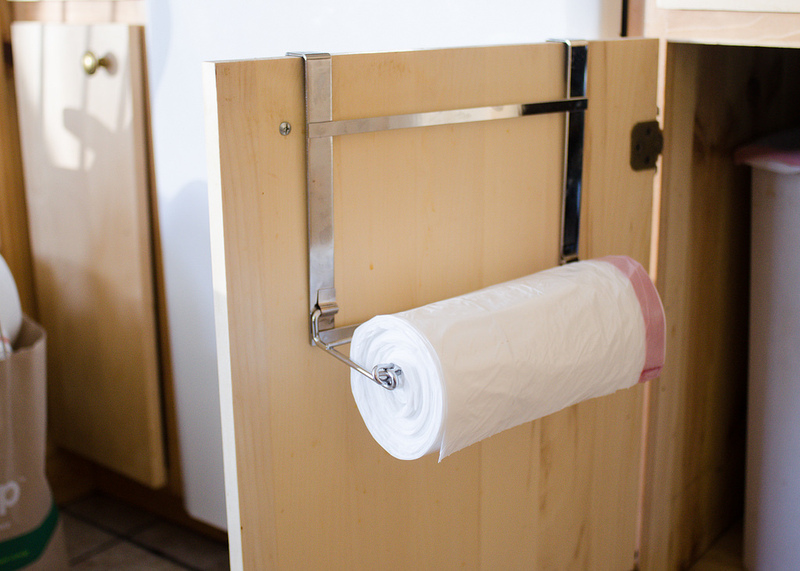 For our utensil drawers, we have used adjustable bamboo organizers. You can find them at The Container Store, Target, and probably online at Amazon as well. We used a non slip liner underneath the tray for the ones that had a little space left at the top or bottom of the drawer. 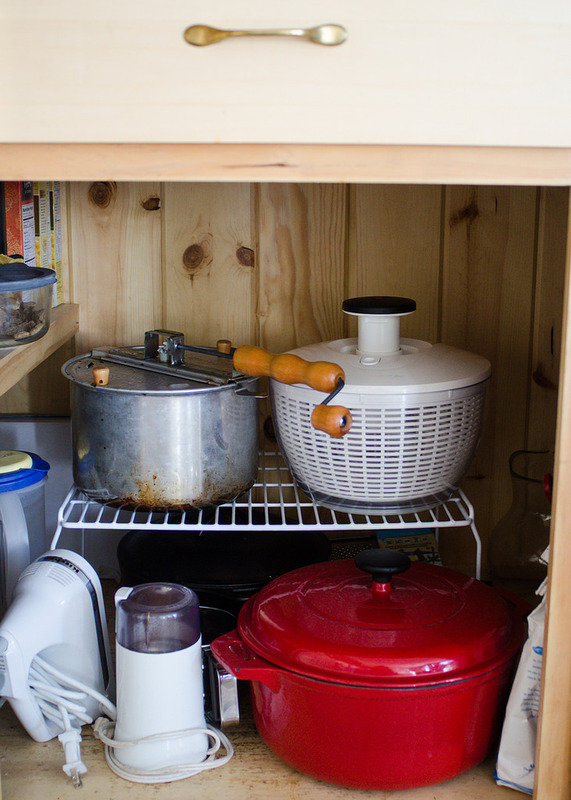 Organization in the kitchen also adds to the ability to keep the kitchen free from germs. Disorganization makes it harder to clean off surfaces. 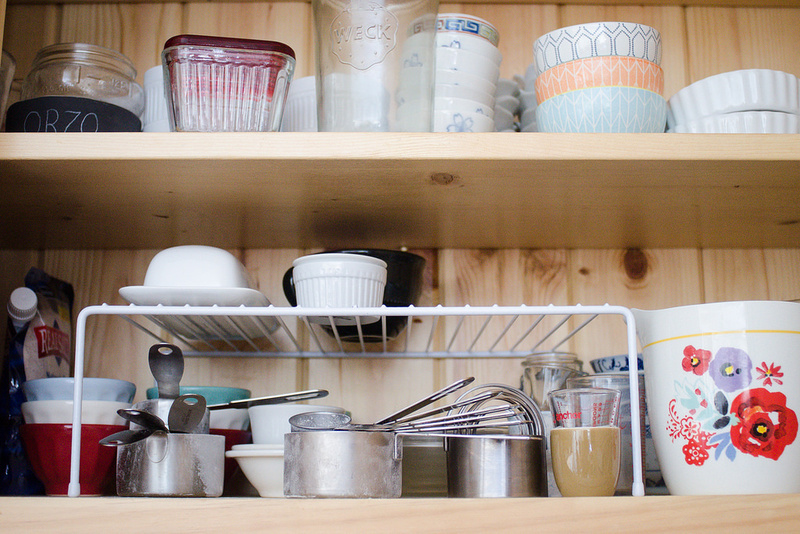 Cleaning splashes that land in drawers or on cabinets becomes a little tough, too. 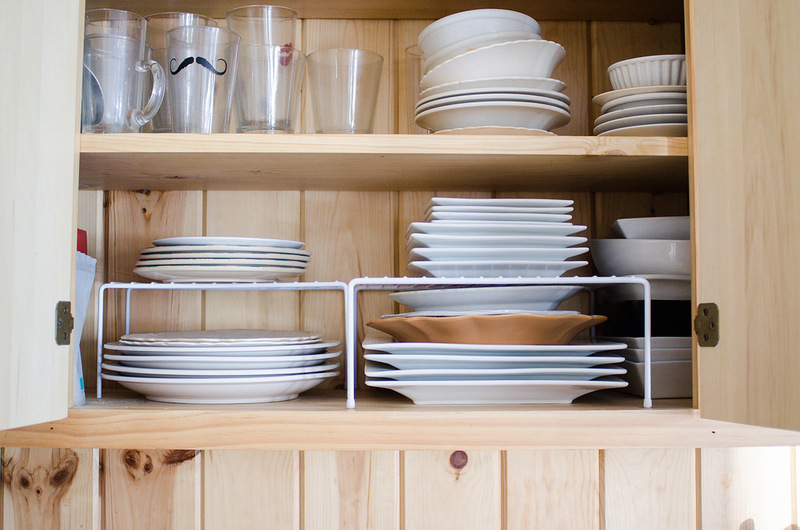 Organizing the kitchen puts everything in its place, and this makes cleaning a whole lot simpler and way more thorough. That means less germs. 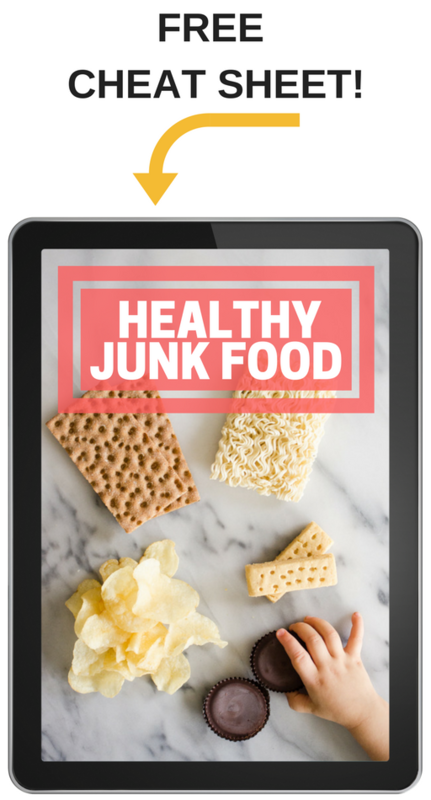 I have been working with my wife to reorganize our kitchen, so I am looking at every resource I can find to help us through this process. 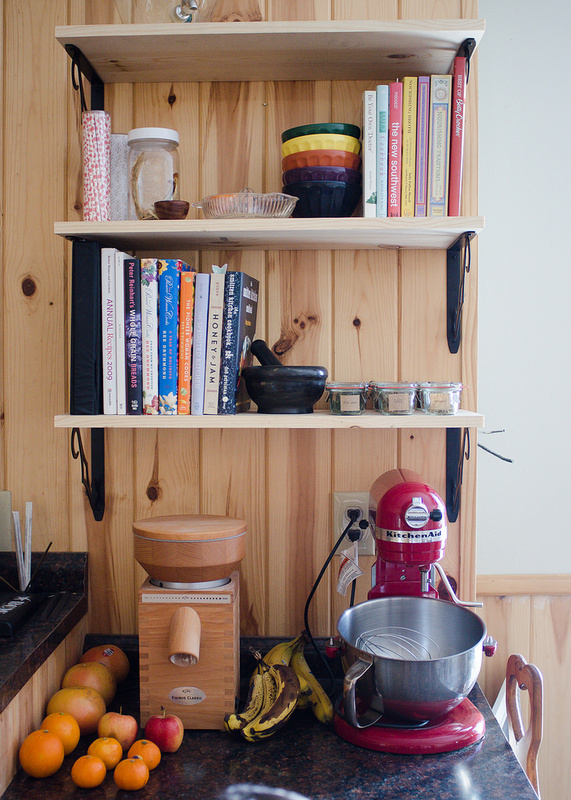 Does anyone have any additional resources I may use in helping reorganize our kitchen space that are affordable?